Panels really gets a lot of its power from the Page Manager module, which for the most part provides a transparent user interface for Panels. We won't be using Page Manager directly for much, but because it provides the foundation for Panels, it's important to address what it does and why it's so awesome. So the first thing we need to do is install Panels. 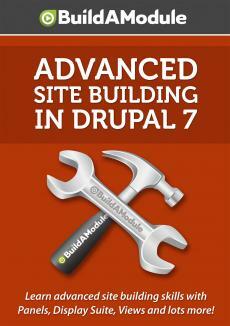 Let's load up the Project page on Drupal. I'm going to search for Drupal Panels in Google and I will just pick the top result here. Okay. So here is the page. It's on drupal dot organization slash project slash panels. If you read through this page you can get a little bit of information about what Panels is, although reading a couple of articles isn't nearly enough to really understand what it does. And from here, if you're going to go the traditional route to installing a module you can download the 7 dot x version. Here is some information about how to use Update Manager to install the module or to use Drush. I'm going to use Drush to download the module, but since it's a collection of modules I'm going to load it up on our Modules Configuration page before I enable anything. All right. I'm going to go to the Modules page and I'm going to look at the Panels entry here. So Panels come bundled with four modules. The Panels module, Mini Panels, Panel Nodes, and Panels In-Place Editor. We're going to enable Panels for sure. Mini Panels we're going to work with later. It's basically a way that you can take a panel and put it into another panel. So we will enable this too.